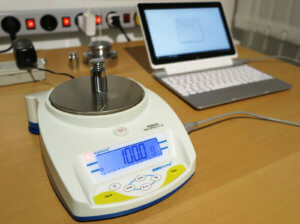 Can your scale or balance be used with our free software 232key? 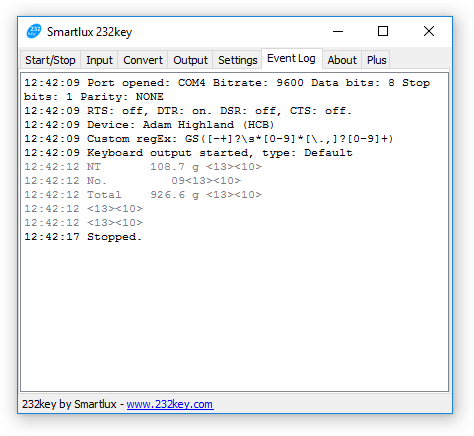 Our free software 232key enables you to easily transfer the weight from your scale or balance to any application running on your PC (as simulated keystrokes). It contains a list of compatible devices that we are constantly expanding. However, we cannot possibly test every scale or balance on the market. Using a practical example, this blog post will show you how to determine whether your balance is compatible with our software. These requirements may change in future version. We recommend that you always consult our 232key.com website first. 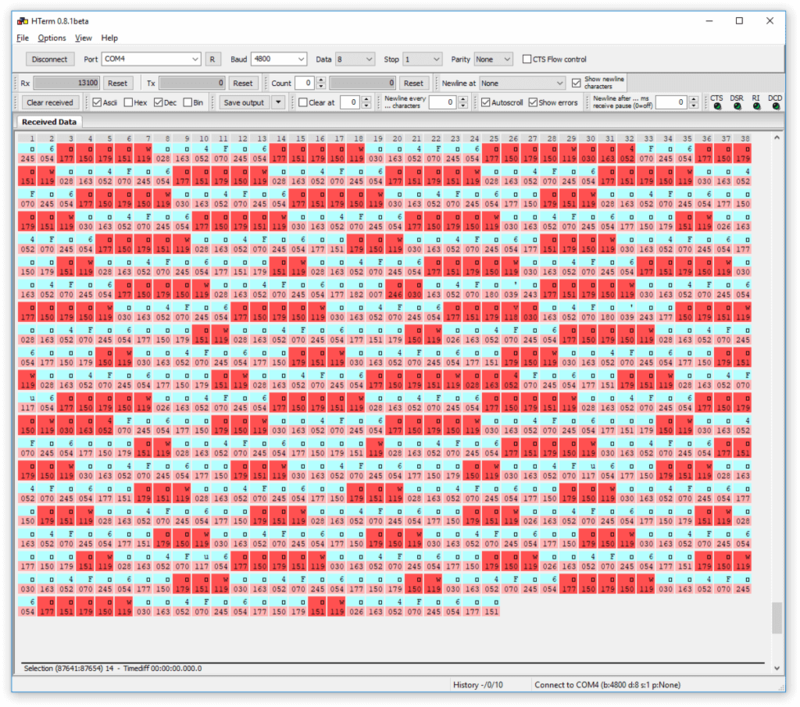 At the time of the writing of this post, this scale did not have a predefined device profile in 232key. It’s a good idea to try to find or download the user manual for your scale. As you’ll see below, you’ll most likely need it. Your scale will probably require a different cable. If you’re lucky, the user manual contains further information. We’ll address the topic of finding the right serial cable in an upcoming post (it can be quite complicated). Caution: Some scales use interfaces for other things than transferring data (e.g. for relay outputs or as a way to supply power to peripherals). Connecting such a scale to your PC with an incompatible cable could damage both devices. We used HTerm, which you can download here. Simply unzip the downloaded file and start HTerm.exe (no installation required). There are many other (free) terminal programs which you could also use. 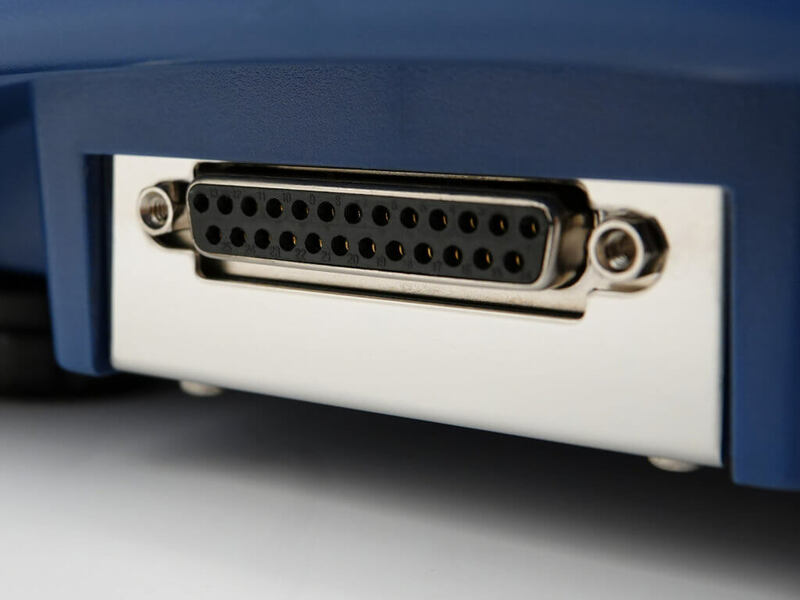 Only one COM port was shown on PC (created when the FTDI converter was plugged in). If you have the choice between multiple ports, consult the Windows Device Manager to determine the correct one. Concerning the requirements mentioned above, we confirmed that the data was sent in ASCII format. However, the scale was continuously sending 4 values per second, which is not suitable for use with 232key as all these values would be typed (you could, however, use it with our Simple Data Logger application). We again consulted the manual and found that the setting could be changed from “rnP 2 – continuous transmission” to “rnP 4 – press the ⏎ key to transmit”. 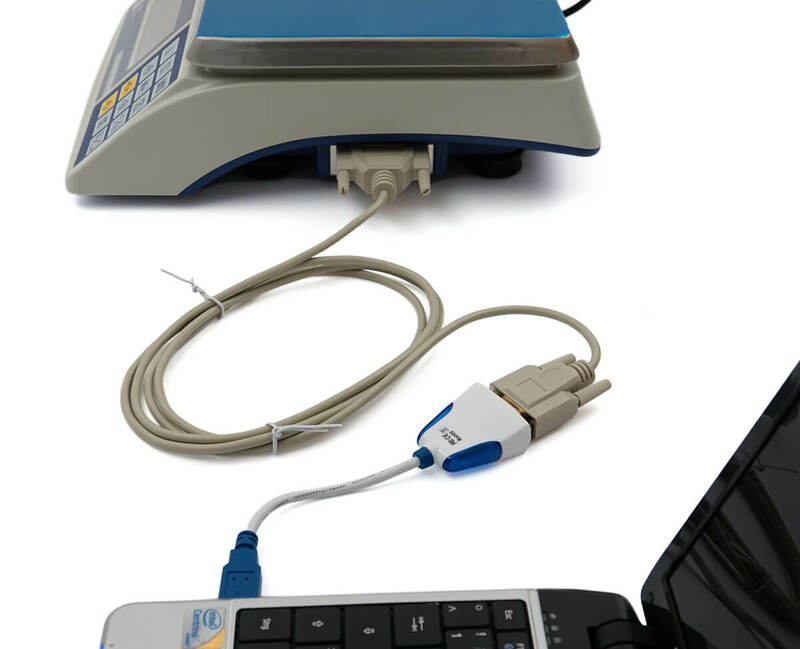 As the description says, in this mode the user has to press the ⏎ key on the scale to send the weight to the connected PC (once). Another mode suitable for use with 232key was “rnP 1 – stable transmission”. 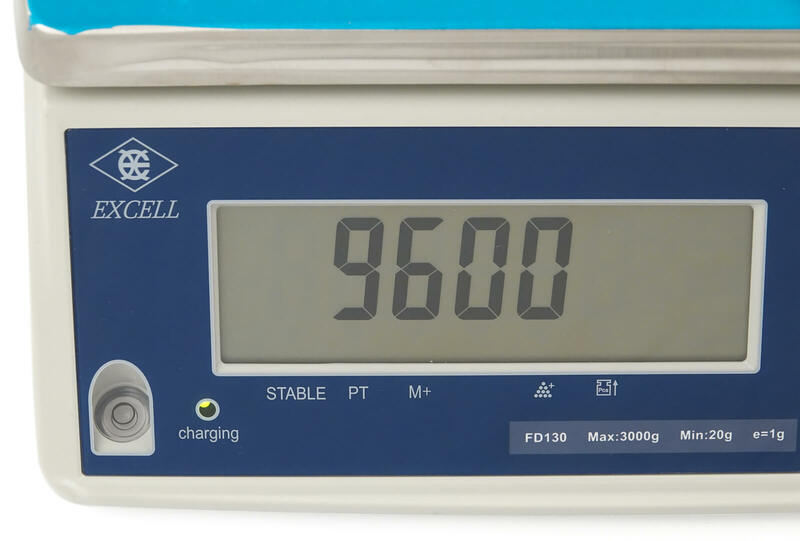 In this mode, the scale sent each (stable) weight once. This is often referred to as “auto print on stability”. Your scale may or may not have several different transmission modes. Please refer to your manual for further information. 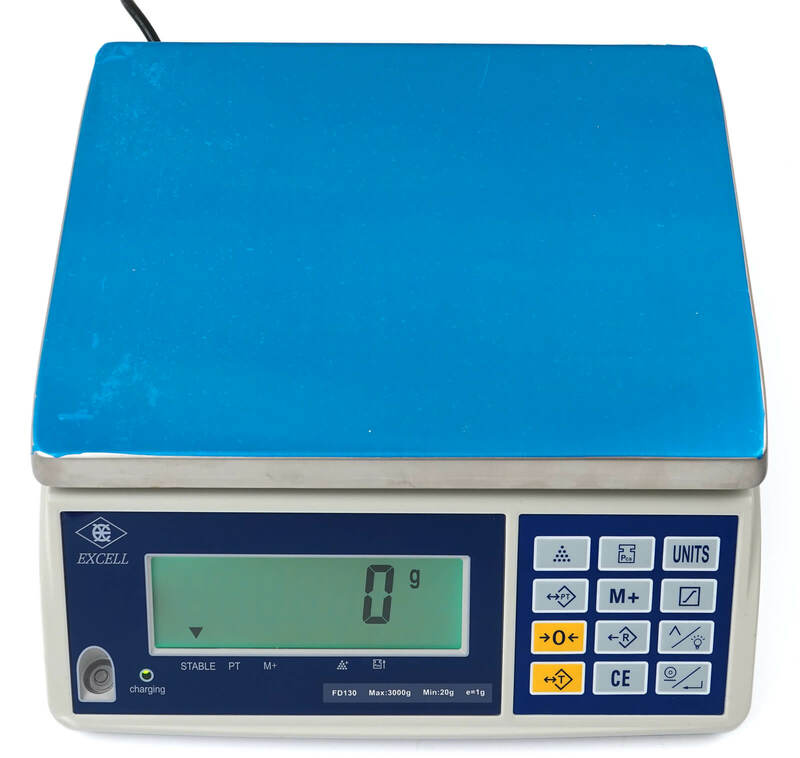 Unfortunately, there are some scales which only support continuous transmission and are therefore not suitable for use with 232key (at this time). Tip: Check whether your scale has a print button. If so, it can probably be used with 232key. Unfortunately, there can be many reasons. Please read our extensive troubleshooting section on 232key.com. 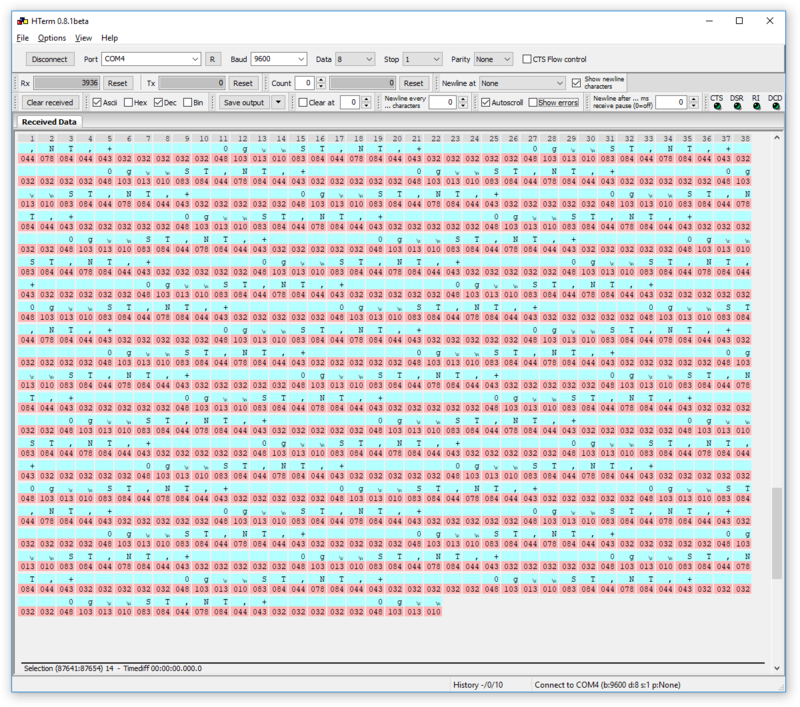 If you’ve confirmed that all interface parameters in HTerm match those of your scale and still can’t read the output, the scale might not be sending data using the ASCII format. 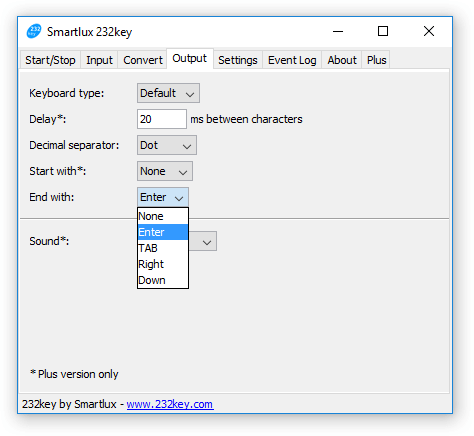 If no ASCII mode is available, it cannot be used with 232key. 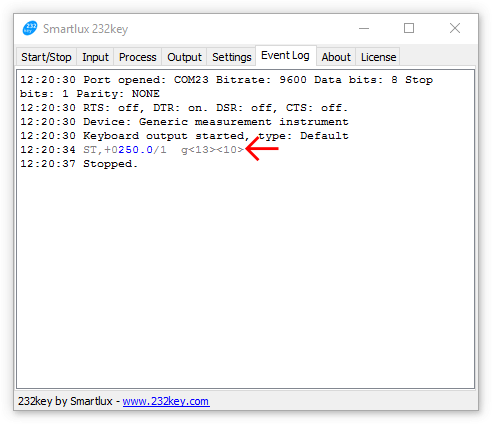 If the data sent by your scale contains numbers other than the weight, they will also be captured and typed by 232key. This is usually not what you want. Configure the scale. Refer to the manual to find out if it’s possible to change the output format to a more simple one that sends only the weight. 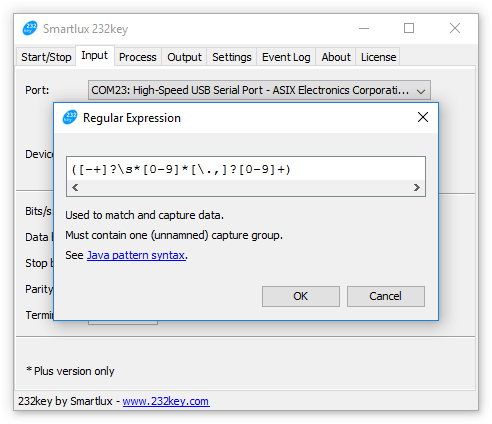 If the line with the weight can be reliably identified (because it starts with or contains certain characters), you can use a custom regular expression in 232key Plus to capture the weight and ignore all other numbers. As we were able to read the output in HTerm and had fixed the continuous transmission issue, we proceeded to configure 232key for use with our Excell FD130 scale: We selected “generic measuring instrument” as the device and set the COM port and all interface parameters to the same values as in HTerm. As the terminator, we selected “LF”, the last character in each line of data sent by the scale (as seen above). 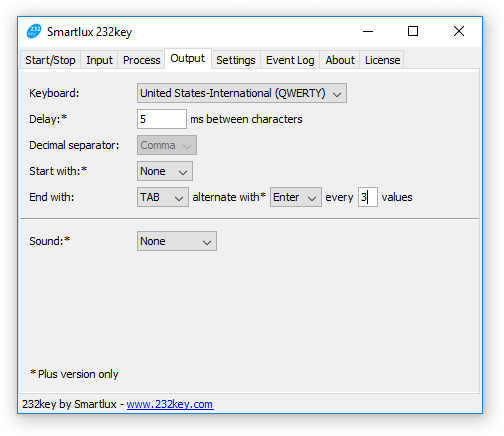 In the output tab, we instructed 232key to send an enter key after typing the weight (this is of course up to you and your application). Please visit 232key.com to download our free software for scales and balances. Our website also contains an extensive documentation, FAQ and troubleshooting section. Should you have any questions, please post them in our support forum. 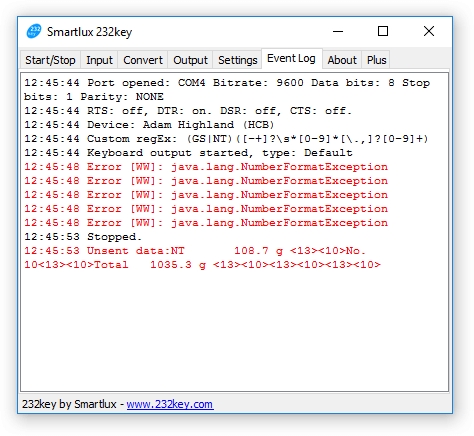 However, please keep in mind that the problem is not caused by 232key if you cannot see readable output in a terminal software. We regularly publish blog posts with application examples. You can find all 232key posts here. If a virtual keyboard wedge software like 232key is not what you need, please have a look at our other software. For data logging applications where you want to log the weight, time and date to a file, we recommend using Simple Data Logger. 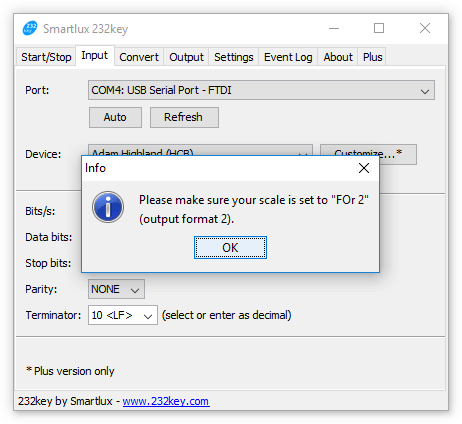 Posted on 2018-02-01 2019-01-10 Categories SoftwareTags 232key1 Comment on Can your scale or balance be used with our free software 232key? Our software 232key was originally designed to make it as easy as possible to capture the weight sent by a scale or balance (and then transmit it to another application as simulated keystrokes). 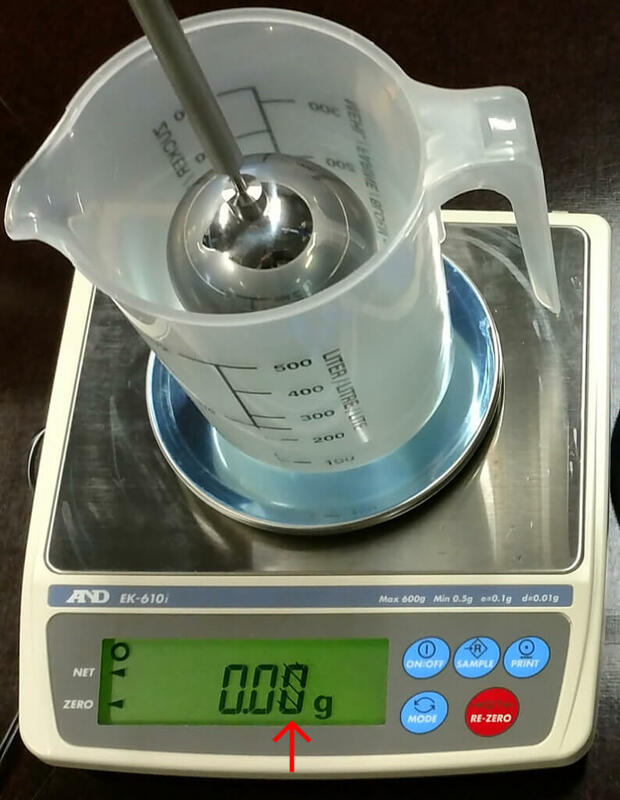 As most weighing instruments also include the unit and possibly other characters, 232key assumes that the first (decimal) number it encounters is the weight. If you also want to capture the date and time sent from a scale, this can lead to unwanted results. 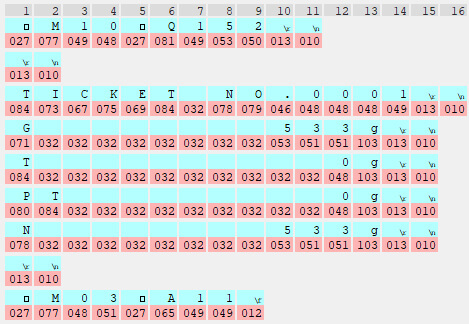 The blue characters were captured by 232key using the “Ohaus” device profile. 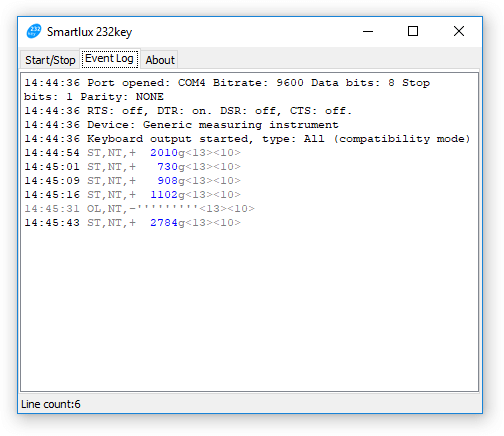 In this example, 232key managed to successfully capture the weight. 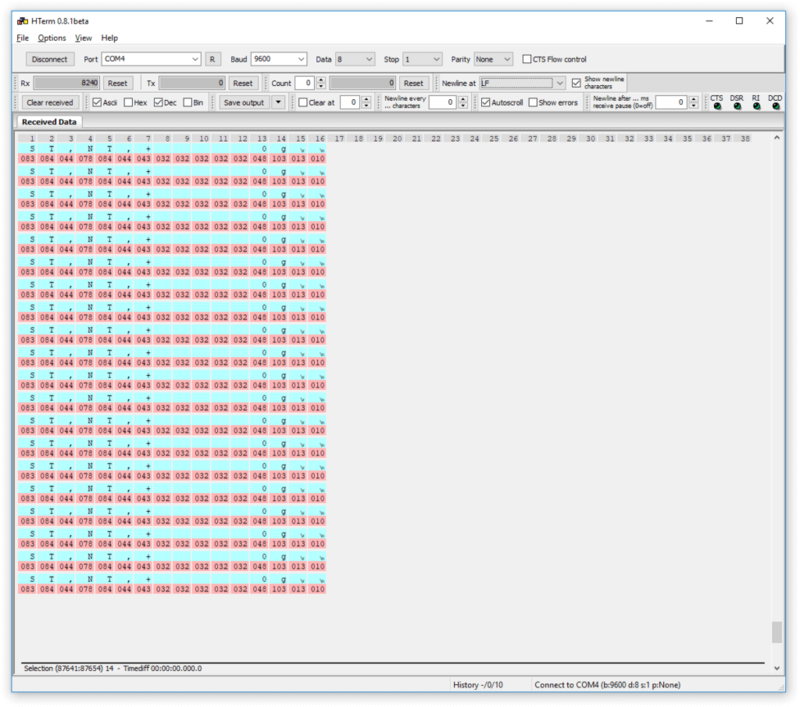 Using its default strategy of capturing the first number in each line, 232key only captures “11” and ignores the rest of the combined date/time line (as the backslash cannot be a part of a decimal number). We can try to fix this by going to the device tab and setting the device to “Barcode alphanumeric extended” (available in the Plus version). 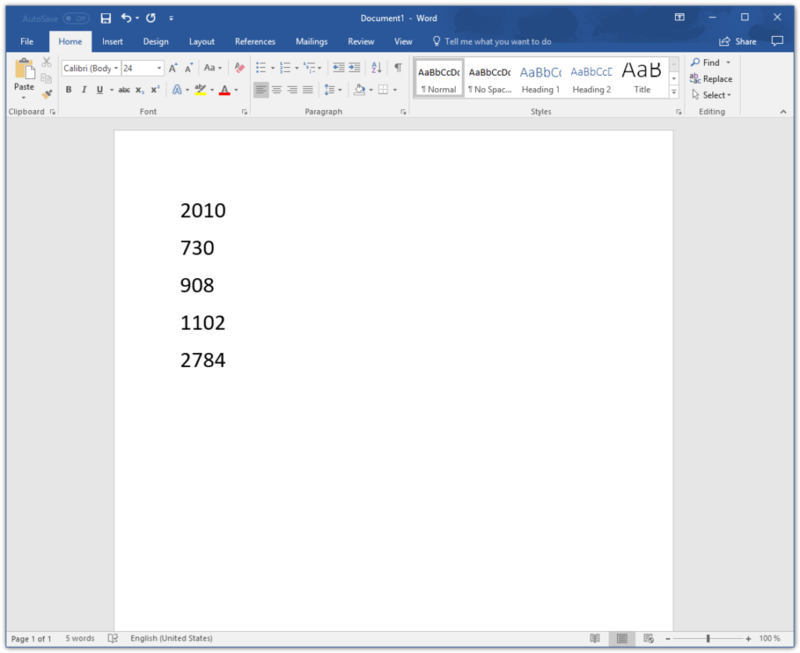 This device appears in italics, which means that it is a “text” device instead of a “numeric” device. 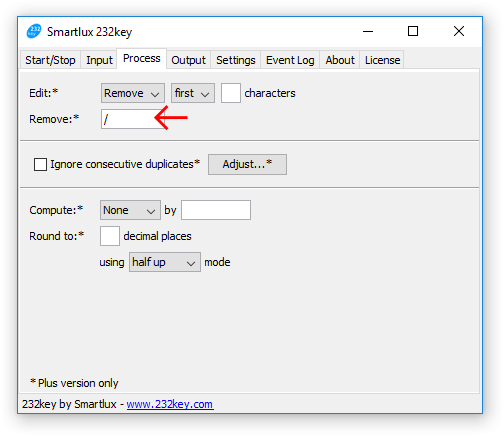 Note: Do not click the set defaults button after making this change. Date and time appear together in one column. The measurement values are not recognized as numbers because the cells contain additional text. 232key does currently not support extracting multiple values from one line of data, so there’s nothing we can do about the first issue. 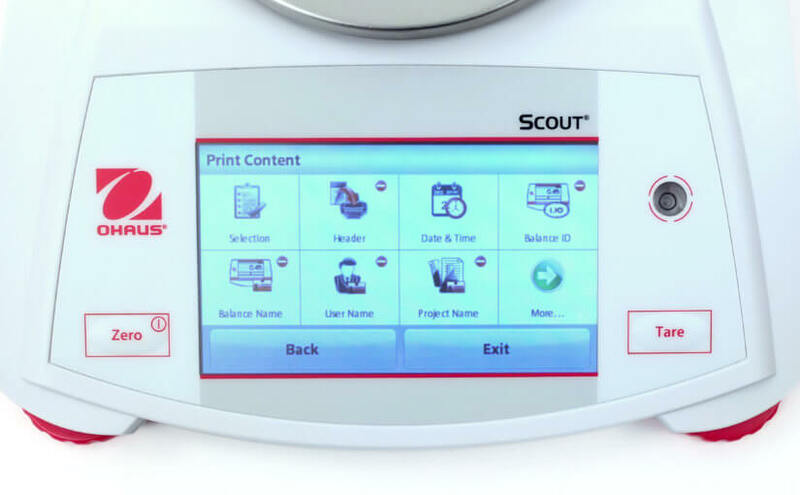 Unfortunately, our Ohaus Scout STX scale cannot send the date and time in separate lines. Note: This regular expressions assumes the scale is using the 24 hour time format. The cells containing the net and tare weights are recognized as numbers and can be used for further calculations. The regular expressions above have been customized to work with the Ohaus Scout STX scale (configured to send the date, time and weight). They might not work with other scales and balances. As we’re now using a “text” device, the computation and rounding settings in the process tab have been disabled (you can’t round non-numeric characters). The option to change the decimal separator from a dot to a comma is also no longer available (and our custom regular expression does not capture decimal numbers using a comma as the separator). 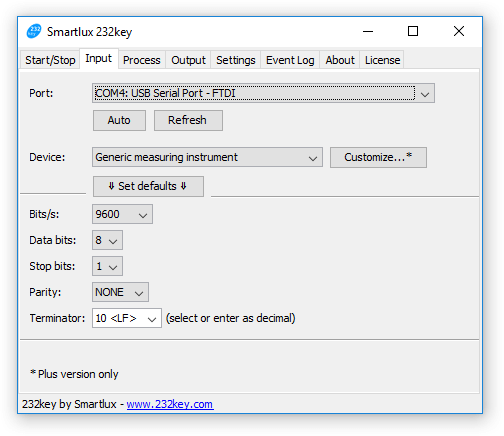 For data logging purposes, consider using our new Simple Data Logger software instead of 232key. It has the ability to add the date and time to each weight. 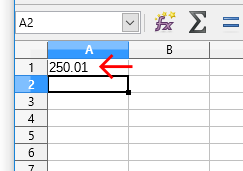 The CSV files it produces can be easily opened in Excel and other spreadsheet apps.